GizaDog Neo created this epic aerial collage of the western United States. 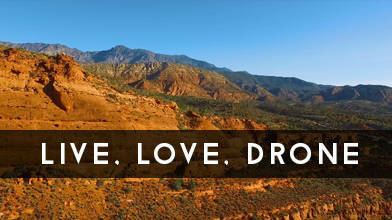 The video features footage of the following locations: outside of Zion National Park (Utah), Mount Rainier (Washington), Cannon Beach (Oregon), Arches National Park (Utah), various locations in Maui (Hawaii), Lake Tahoe (California), sailing in Tiburon (near San Francisco), the Golden Gate Bridge (also San Francisco), and Del Mar (near San Diego, California). Description: Awesome view of places on our planet! Video locations in order: Outside Zion National Park, Mount Rainier, Cannon Beach, Arches National Park, Maui Mountains, Blow Hole, Maui Rainbow, Maui Sunset, Lake Tahoe (Mountains and Pines), Sailing in Tiburon, Golden Gate, West Coast Clouds, Lone Surfer in Del Mar, Del Mar Sunset.